Andrew (Jack) Daniel, Elders Technical Services Manager in Warracknabeal, began using FMC Hammer when it was commercially available in early 2000. After trialing the product, he has been impressed with the weed control it achieved compared with group G product. As farming systems have evolved, Jack says it was apparent that weeds previously managed by tillage were fast becoming difficult to control with chemical only management. “Marshmallow was a stand out here, particularly if it had some size about it. Capeweed and brassica weeds were also an issue at times as well, where older group G chemistry would sometimes only provide mediocre results,” says Jack. “Whilst other tank mixing partners were available for example 24D and dicamba, these mixes were problematic in front of susceptible crops like canola and legumes where at times lengthy plant back periods were required,” he says. The operational issue around long plant backs resulted in delayed sowing which had the potential to limit yield potential particularly in seasons experiencing dry spring conditions. Jack says that a key lesson he and his clients’ learnt from the dry seasons in the 2000’s was how important moisture retention from summer rainfall events, and autumn, was in achieving a viable crop in these tough years. “In my opinion, weed control in this period is the most important spray operation we do on farm in in relation to yield outcomes,” he says. Jack says that he has found Hammer perform best when weeds are actively growing and are not stressed. 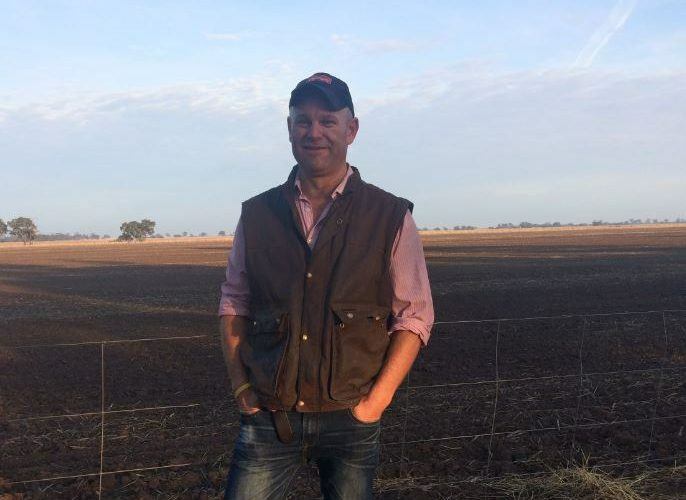 “I prefer to keep rates of hammer robust when using with both glyphosate and paraquat mixtures as there is definitely a trade off with weed control if rates are reduced. “Trying to control stressed weeds particularly under summer spray conditions can be problematic, especially if the tank is mixed with 24D ester formulations. This scenario can result in less than optimal control. Key advice? Jack says that his top tip in these situations is to target small weeds as early as possible after summer rainfall before the weeds have the opportunity to become too advanced or stressed. He also recommends using the correct adjuvant package to improve outcomes. For more information on getting the balance right in your pre-emergent strategy, or to hear about our latest pre-emergent competition to win one of 50 $2000 flight centre vouchers, contact your local Elders agronomist today.